4. 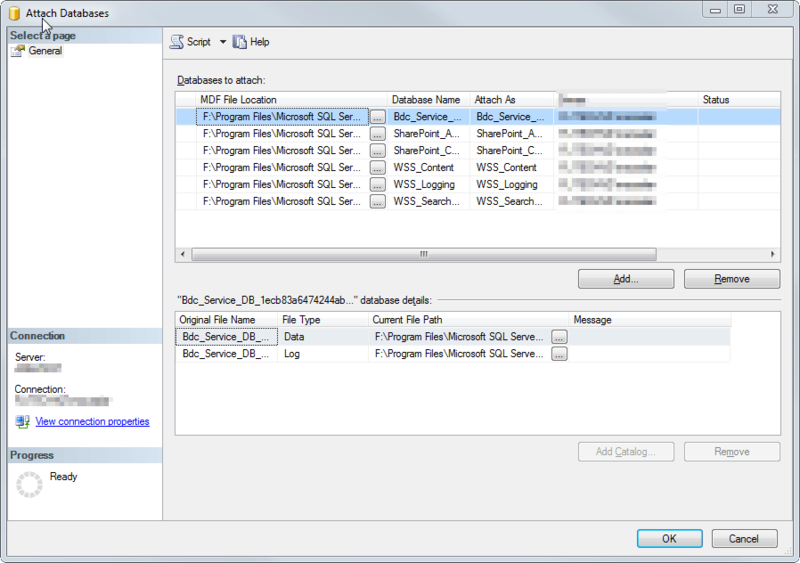 Move all database files (.mdf, .ldf, and .ndf) to the new server. If it’s using a dynamic port change it to static. 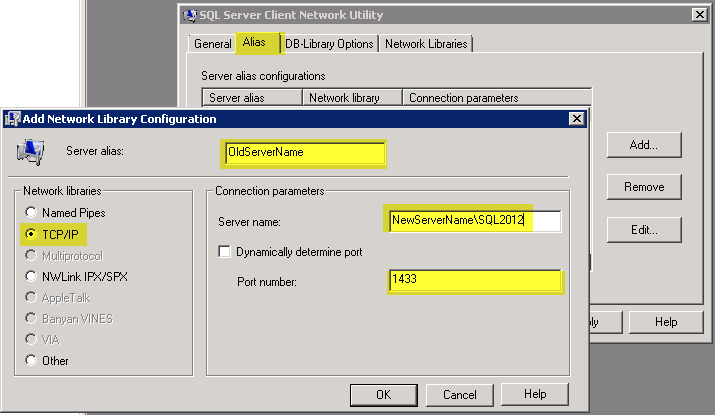 To do this go to SQL Server Configuration Manager and into the SQL Server Network Configuration Section choose the instance you will be using. 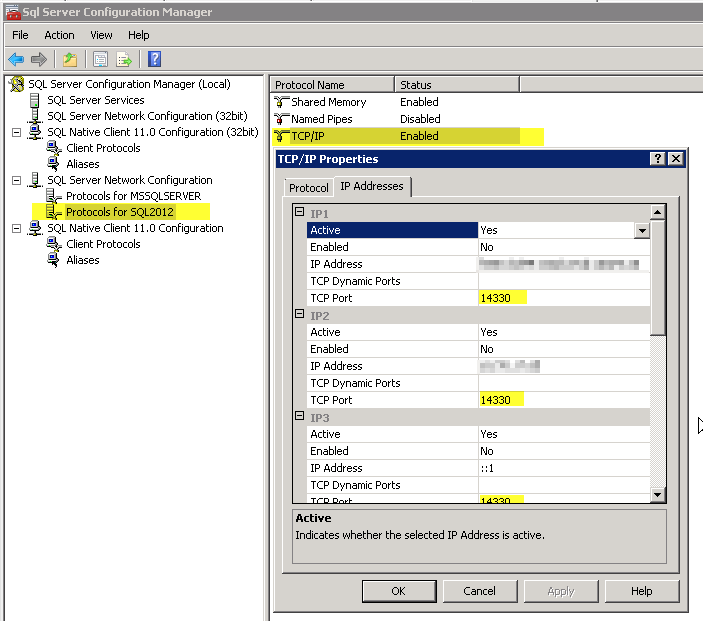 Go to the TCP/IP section and if TCP Dynamic Ports are set to 0 (zero) then remove that and assign a static port into the TCP Port Section on all IP’s. For this sample we will be using 14330 <- notice I just added 0 at the end from the default port. 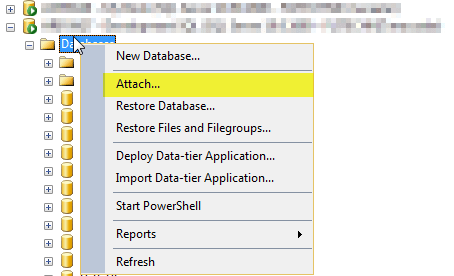 Note that as we will need that on the next section also if you changed the port number from dynamic to static you will need to restart your SQL Server before it can take effect. 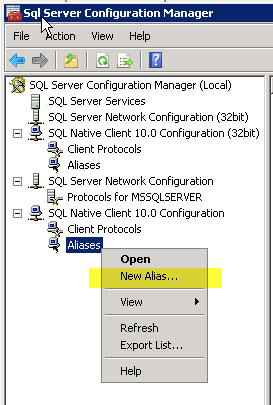 If SQL Configuration Manager is installed just head over to the SQL Native Client 10.0 configuration then into Aliases. 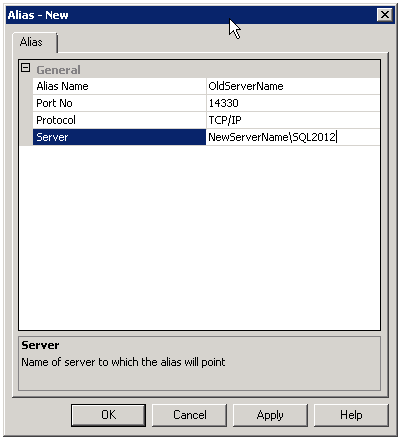 Create a new alias that points to your new SQL Server by right clicking on the Alias. You need to do this on both 32 and 64 bit instances. 9. Start all your SharePoint services, now you have successfully migrated your database. A simple question. 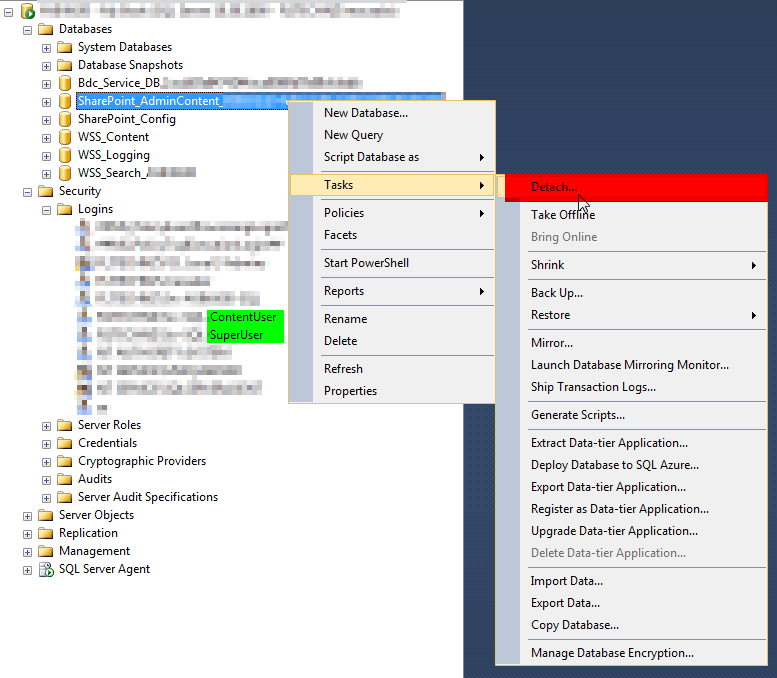 If SQL is on same machine with Sharepoint and now if I’ll move to another.. I can use the license of this SQL instance? I am not an expert with licenses but if you intend to not use the old SQL and uninstall it I find no issues in using the same license. Having said that its still better to ask a Microsoft Licensing expert.